Hollywood was shook Thursday by the revelation that producer Harvey Weinstein reached at least eight settlements with women who have accused him of sexual harassment over the past three decades. His apology, published in The New York Times, was strange, to say the least. In the following days and weeks, we'll see groups and individuals begin to distance themselves from the Hollywood producer. It has begun with Washington. Weinstein has for years donated his money to liberal causes, even hosting fundraisers for Democratic presidential candidate Hillary Clinton last year. In total, he has awarded at least $769,532 to Democratic causes. But, the Times notes, Weinstein went from being "a coveted contributor to a pariah" the instant they published the scandalous report. If the Democrats know what's good for them, they will immediately return the "dirty" money, according to the Republican National Committee. "During three-decades worth of sexual harassment allegations, Harvey Weinstein lined the pockets of Democrats to the tune of three quarters of a million dollars. If Democrats and the DNC truly stand up for women like they say they do, then returning this dirty money should be a no brainer," RNC Chairwoman Ronna Romney-McDaniel said in a statement Friday. The Democrats appear to recognize the issue. 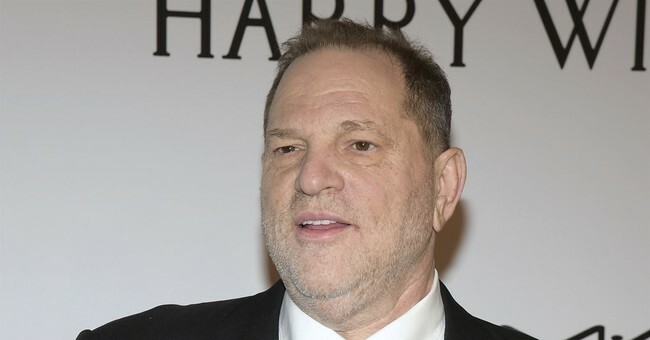 A number have already given away thousands of dollars in campaign contributions they received from Weinstein. Sens. Patrick Leahy (D-VT), Richard Blumenthal (D-CT), Martin Heinrich (D-NM), and Elizabeth Warren (D-MA), for instance, are each donating portions to charity.